White space can denote many things: passing of time, omission or even open interpretation. The five artists featured below all utilize white space in some sense while creating their works of art, with the intentions of symbolizing light, breaking up patterns and preserving the elements certain mediums have to offer. Whatever the reason may be, the white space says as much and maybe even more than its counterparts. If you've got some white space in your upcoming weekend plans (pun intended), consider dropping by Vernon Street Open Studios Saturday, December 5 and Sunday, December 6 from noon - 6 p.m. But perhaps you've already left New England for warmer weather. If that's the case, then be sure to see us at this year's Art Basel Miami Beach. From December 3-6, we will be set up in the magazine sector collective booth, featuring our current November/December issue. We hope you'll pay us a visit! As for next weekend, be sure to pencil in CraftBoston December 11-13 at the Hynes Convention Center. This event is presented by the Society of Arts and Crafts and sponsored by Artscope. As always, information on upcoming exhibits and performing arts events can be sent to pr@artscopemagazine.com, to appear in the magazine or in e-blasts such as this. Curious about advertising? Reach us here for more information. 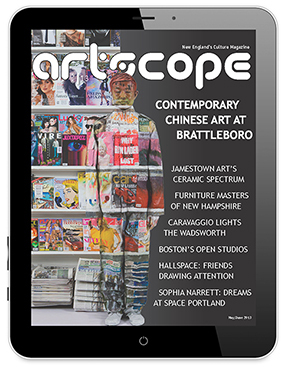 To learn more about sponsoring these email blasts, contact us at advertise@artscopemagazine.com or call 617-639-5771. 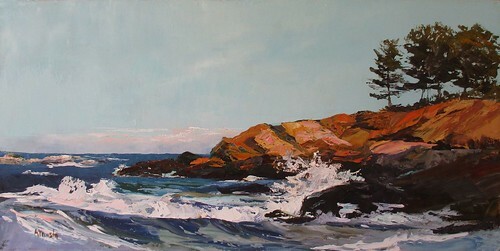 Rocky Shore by Ann M. Musto. The process of creating art is personal and the curiosity that fuels this is timeless. The current exhibition at South Street Gallery pays homage to this idea by honing in on the process of painting. Field to Finish features all phases of painting by Margaret McWethy and Ann M. Musto: preliminary sketches, studies, studio paintings and final plein-air renditions. By displaying all of their steps, these well-known gallery artists help illuminate what it means to create. Margaret McWethy of Hingham is an impressionist painter who paints the scenes that surround her, but her real subjects are the brilliance of light and the rhythms of nature. With a background steeped in science, McWethy's approach tends to blend the analytical and the intuitive. "I like the idea of reducing things to parts to see how they work, then reconstructing and editing," says the artist. "Not with the object of reducing things to formulas, but to reach some real understanding with which one can then begin to create." Cohasset's Ann M. Musto works primarily in palette knife in oils, but also displays in pastel and watercolor. Since changing from medicine to art in 2001, Musto has developed her art through local education and visiting artists' workshops, as well as self-study. After 25 years as a pediatric nurse practitioner in both New Hampshire and south suburban Boston, Musto studied with various artists on the South Shore and is now studying with the atelier at the Academy of Realist Art in Boston's Leather District. Her work has been displayed in juried shows across New England and New York, as well as galleries on the South Shore of Boston and Cape Cod. Field to Finish and all the steps in between is on view now through Friday, December 11 at South Shore Gallery, where artists engaged in plein-air painting have been displaying for fourteen years. digital images submitted through Slideroom. From Dec 2 - 20, Bromfield Gallery presents dozens of New England artists with a wide array of media, priced from $100 - $1000. The opening reception is Friday, Dec 4, from 6-830 p.
Gallery 334 of the Milton Art Center, Milton, MA. March 11 through April 18 2016. Juror: Kaveh Mojtabai - Artscope Magazine. Entry deadline: February 25th, 2016.
from anywhere in the country. 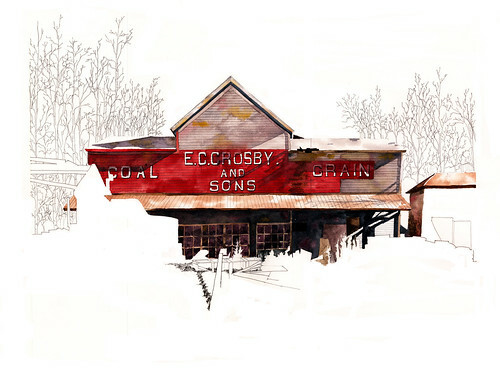 M-F 10 a.m. - 5 p.m., Sat 2 - 5 p.m.
E.C.Crosby & Sons -Coal & Grain - Danby, VT by Thomas Leytham. Watercolor on paper with pencil. When we talk about landscape in art, we're commonly referring to woodlands, seasides, prairies and the like, but the current solo exhibition at Bennington Museum looks elsewhere for landscape subjects. Artist and architect Tom Leytham creates his paintings from the harsh beauty of now defunct industrial landscapes including factories, mills and quarries. In his works on view, Leytham has intentionally arranged for white paper to show itself throughout, in order to bring the viewers' attention back to the detailed architecture of the building. Of this decision, Leytham says, "I am intrigued by the power of the watercolor to transform the physicality of massive structures into compositions of pure light and color—and to evoke their stories of construction and deconstruction." It was a combination of visual exploration, word of mouth and the study of Google Earth that led Leytham to 19th and 20th century industrial landscape sites across Vermont, though his work is most reflective of locations primarily found in the rural Northeast Kingdom. "Just as these architectural ruins in their incompleteness invite visual exploration, through the use of partial views, negative space, dramatic perspectives and rich detail, I seek to create complex, pictorial environments that will engage the viewer's imagination," says the artist. Leytham is a graduate of Pratt Institute in Brooklyn, NY where he received his bachelors in architecture. He currently serves as an adjunct professor at Norwich University, where he founded the Sketching School. Since 1973 he has been an architect in his own firm, Thomas B. Leytham, Architect, PC located in Montpelier. The Other Working Landscape: Watercolors by Tom Leytham is on view now through Thursday, December 31 at Bennington Museum's Regional Artist Gallery. Featured artwork by Josh Bernbaum. The give and take at play in the two new solo exhibitions at Mitchell Giddings Fine Art is surely something to see. The give: layering, scraping, rubbing, melting, cutting and carving. The take: mesmerizing works of art that transcend both time and place. These spotlight shows feature glass artist Josh Bernbaum and painter and gallery co-owner Jim Giddings. Giddings' work is as much about scraping off paint as it is applying it. "By selectively leaving some paint and scraping or rubbing away other areas, I can retrieve the white paper surface and a lightness of feeling not unlike a successful watercolor," says Giddings. "Then I add more paint, then remove, then add ... I'm trying to have it both ways: depth and richness of oil paint and watercolor-like delicacy." His paintings have been widely exhibited and collected. He taught art history and studio art, and has painted professionally for 45 years while also working as an art handler, picture framer and member of local art associations. Along with his wife Petria Mitchell, Giddings founded Mitchell Giddings Fine Arts in 2014. Bernbaum finds a way to capture and display vibrant colors and intricate textures in his traditional medium. "I am most interested in color, especially color relationships in the works I create in blown glass. 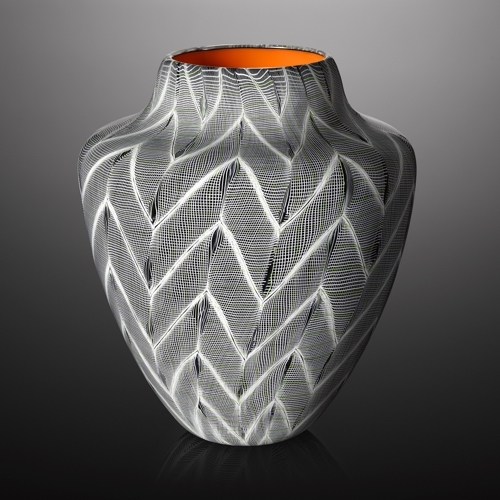 Utilizing traditional glass cane (or striping) techniques in new and personalized ways is the driving force behind most of my current designs." Much of his process begins as an exploration that often ends in celebration once he discovers the harmony between the properties glass has to offer. Though some of his work may focus on the complicated lines of the exterior, Bernbaum also gives ample attention to what is going on beneath the surface. The works of both Bernbaum and Giddings will be on view beginning today, Thursday, December 3 through Sunday, January 3 at Mitchell Giddings Fine Art. 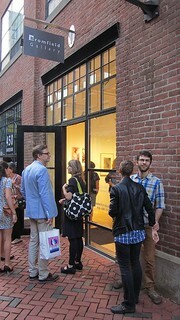 The public is invited to an opening reception this evening from 5-7 p.m. at the gallery. A combined artist talk is scheduled for Friday, December 11 at 7 p.m.
Second annual art exhibition featuring over 400 original works of art by over 65 established and emerging artists displaying independent ideas. Exhibition includes paintings, photographs, sculpture, prints, collage and mixed media constructions. It's never too early to think of spring! 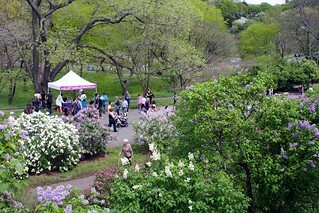 The Arnold Arboretum invites artists of all ages to submit designs for the 2016 Lilac Sunday T-shirt design contest. Lilac-themed t-shirts are a beloved tradition on Lilac Sunday, our annual celebration of the flowering season. Create a piece of Arnold Arboretum history and submit your design(s) by December 15! 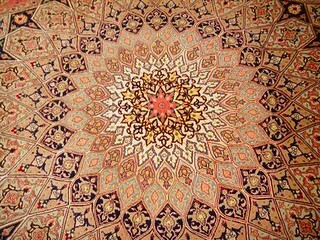 Cozy up your home with a beautiful handmade rug!